We get constant e-mails from you guys about how much you love our curated outfit inspirations, and we understand why, seeing a well put together outfit is the best way to up your own fashion game by finding out what you really like and applying it to your own wardrobe. 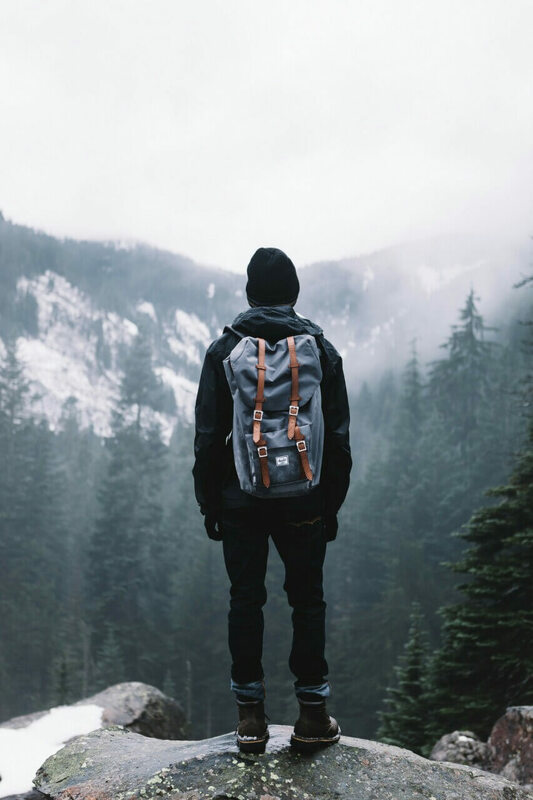 These 31 outfits we’ve picked out for you guys are absolutely wonderful, they range from casual to street style and classy you’ll be sure to find something you’ll love. 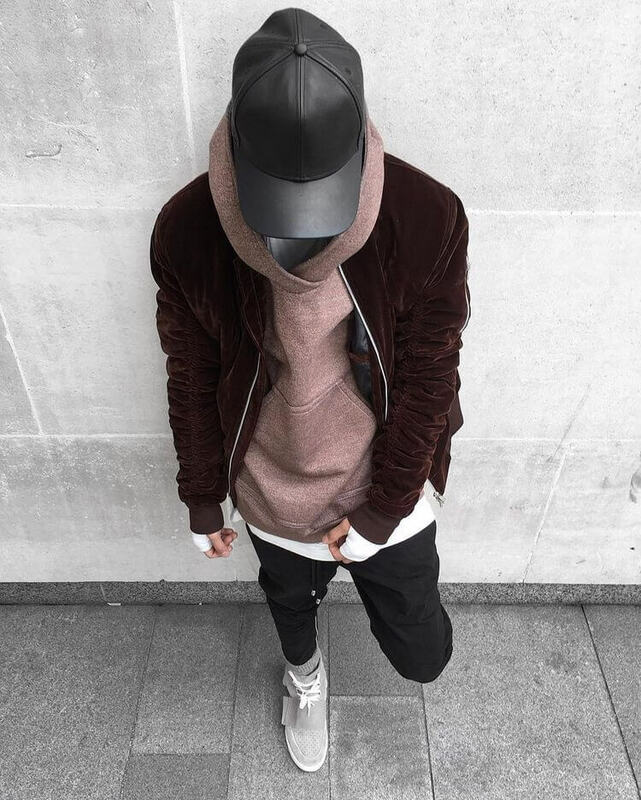 2016 is an amazing year for men’s fashion and it’s only going to get better and grow stronger, enjoy! A perfect summer outfit with some risque colors. 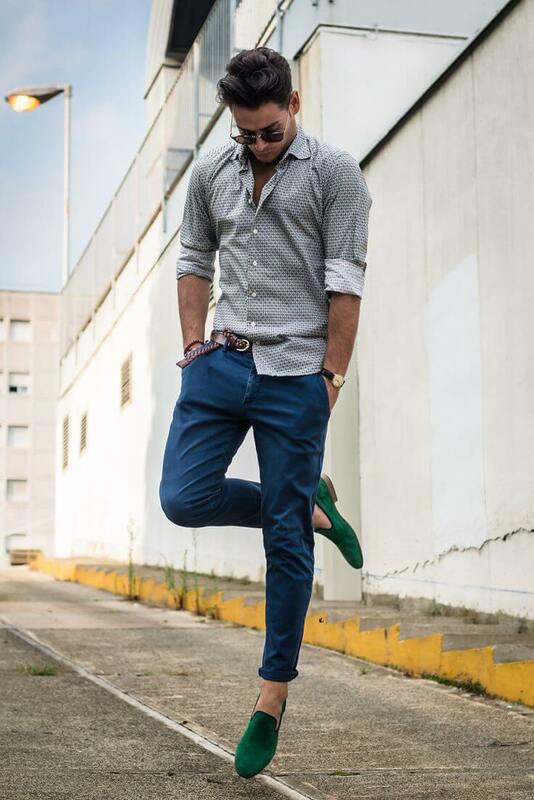 The green slippers and blue pants are colors not often seen but they work really well in this summer outfit. A super chic winter outfit that looks amazing with the layers and the sturdy winter boots. 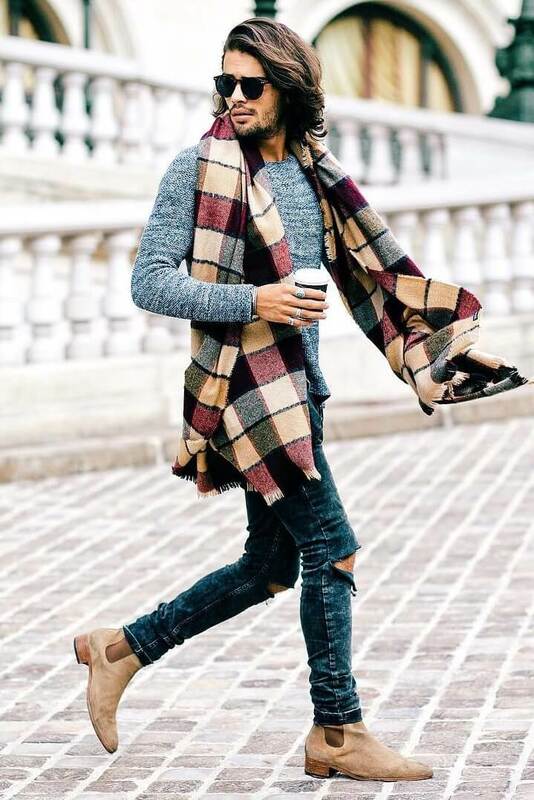 A great looking Fall / Winter outfit that exudes professionalism. 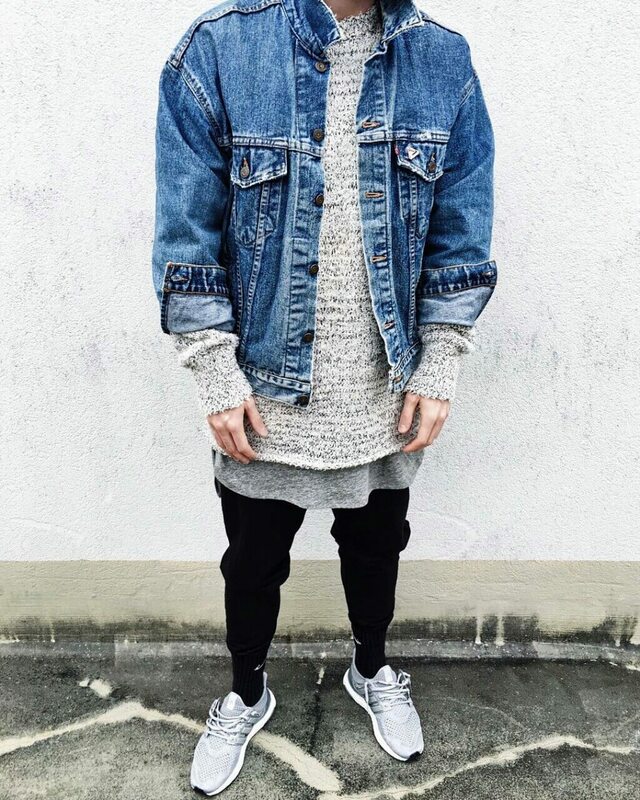 The layering is key in this outfit. 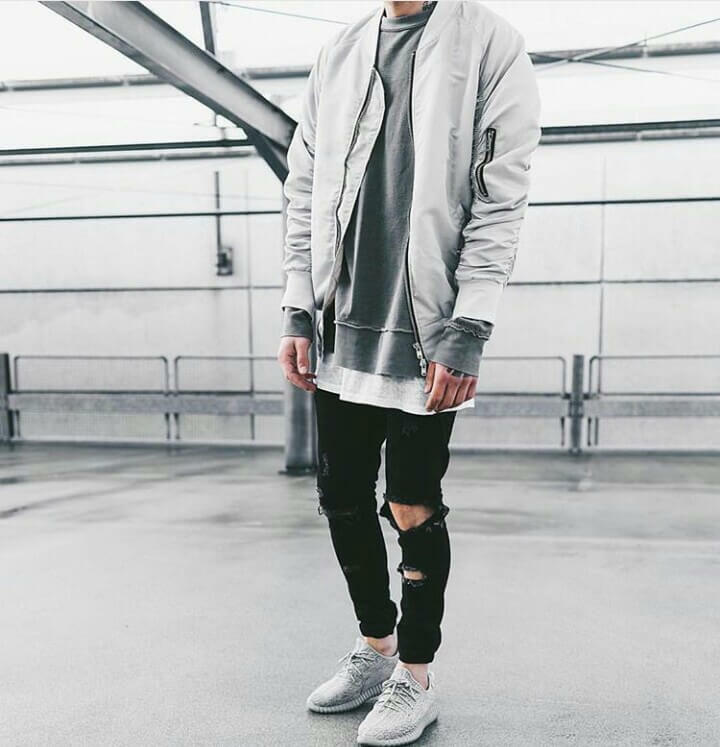 A streetwear inspired outfit. 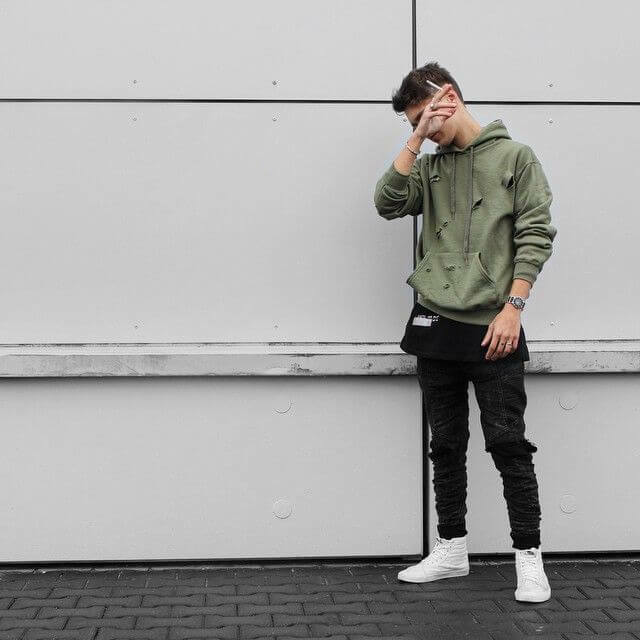 The olive green hoodie works in perfect contrast with the blank jeans and sneakers. 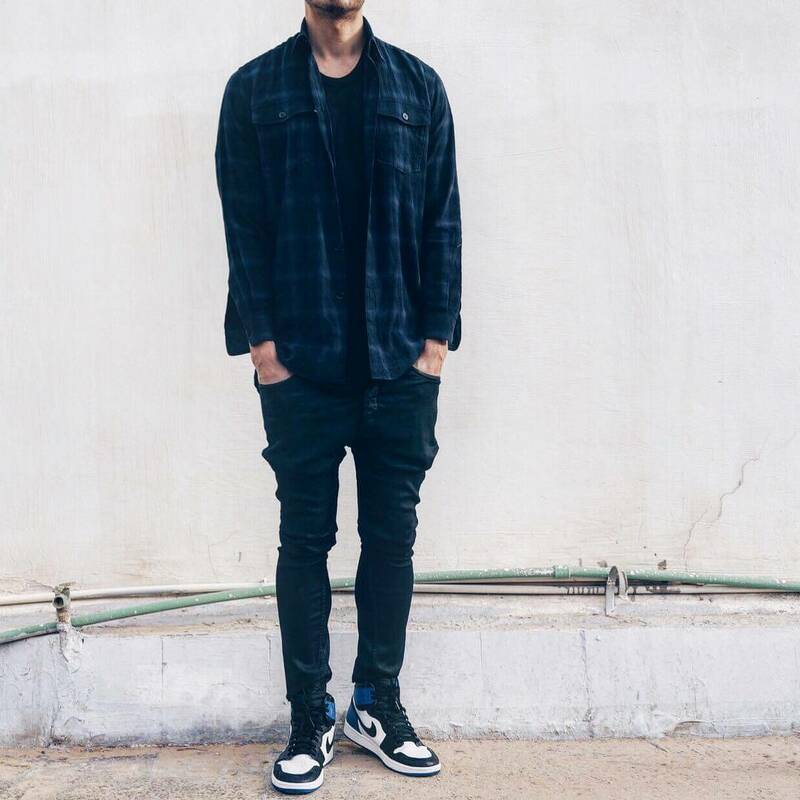 A simple yet chic outfit, the focal point of this outfit is of course the high top sneakers and the rest of the outfit is working in unison with this by flowing the blues and blacks all the way down. A simple monochrome grey outfit. 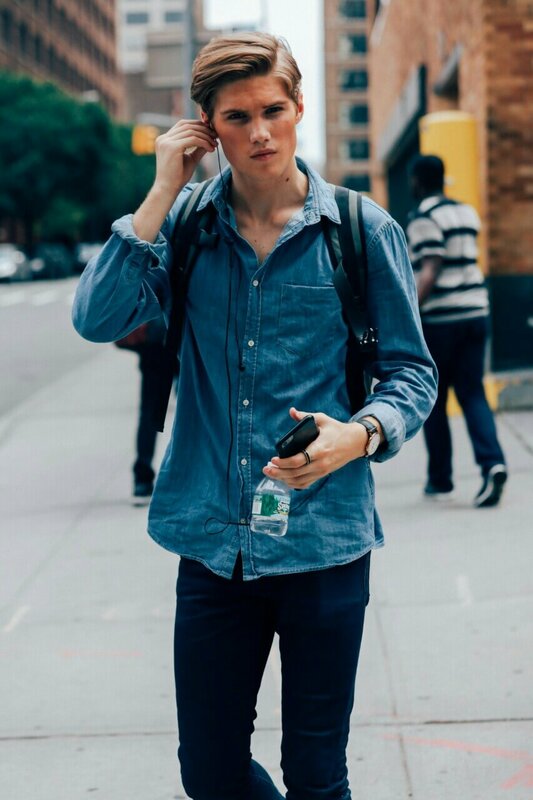 This is a great outfit for a random casual day that looks amazing. 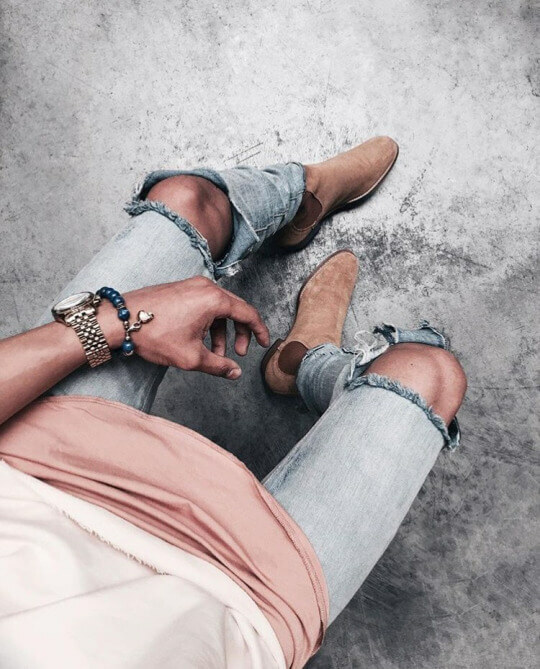 Distressed jeans are the statement piece of this outfit. 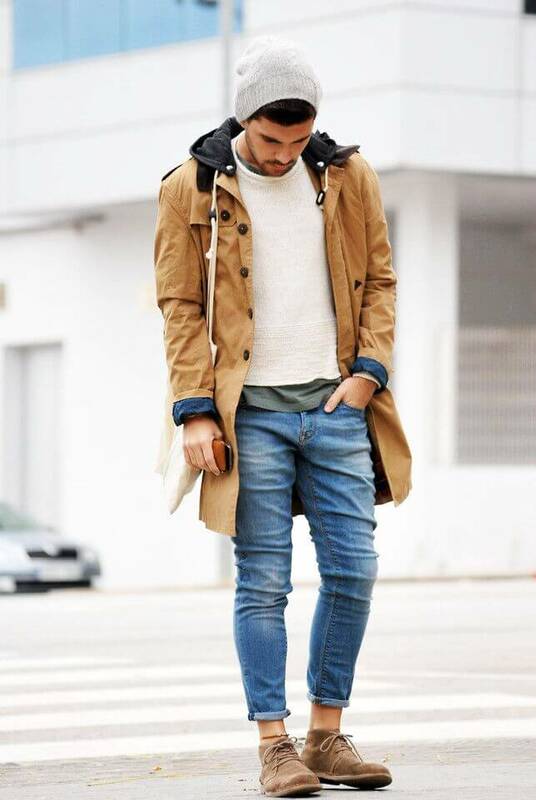 The layers on top and the skinny jeans work in great contrast. A beautiful and colorful outfit. 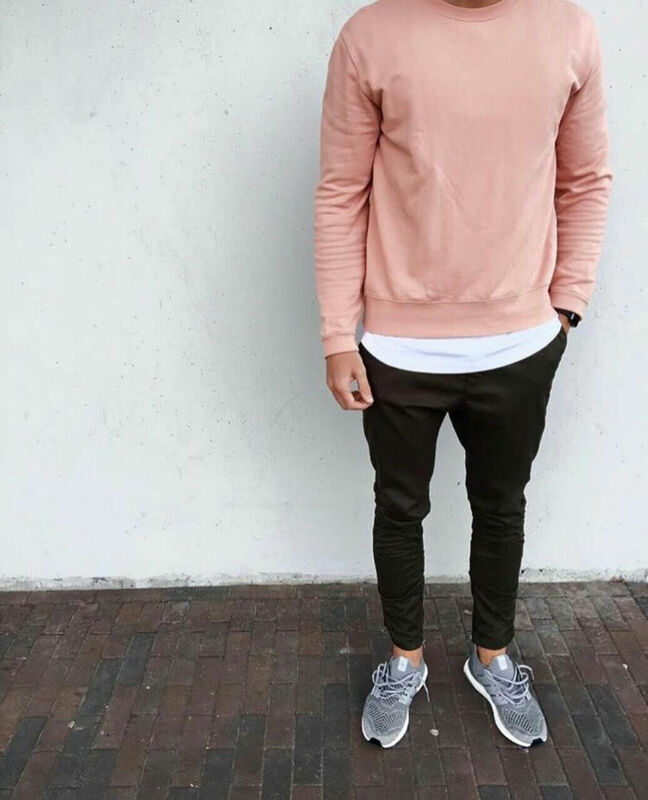 The salmon colored sweater with the longline white t-shirt underneath looks great. 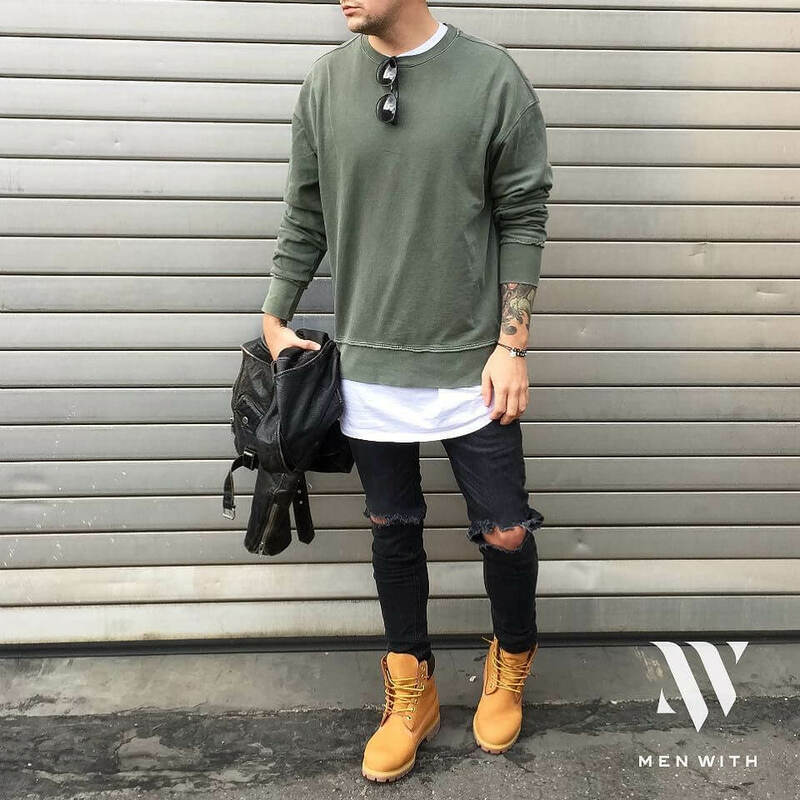 A very nice fall inspired outfit. 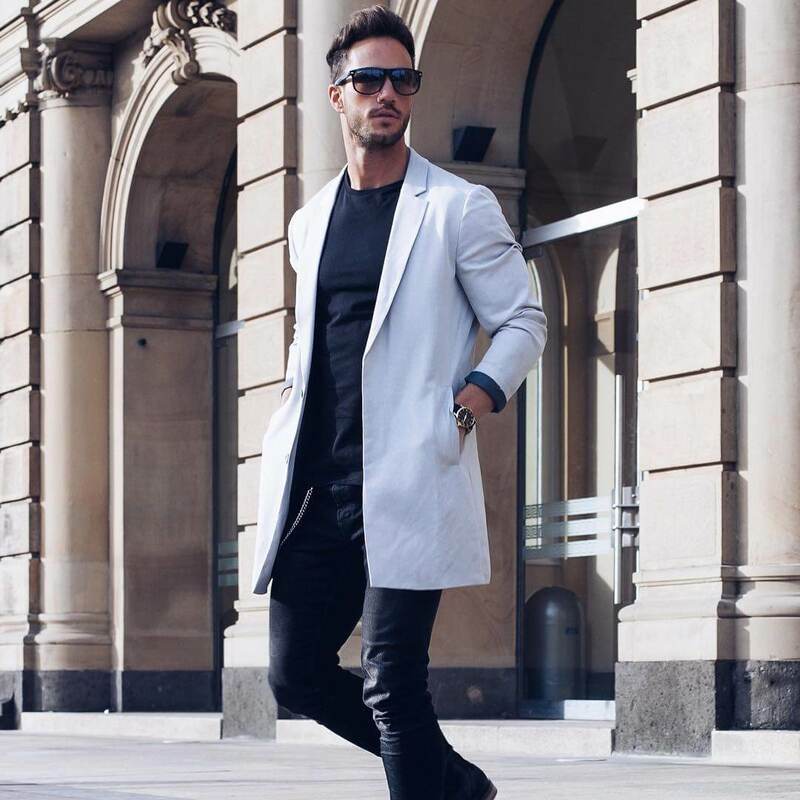 The overcoat and beanie will keep you warm and the bottoms will keep you stylish! I call this the dark cherry outfit. Dark cherry sweater with a lighter salmon colored hoodie and a super light white longline tee work in perfect unison. A simple day-to-day summer outfit. 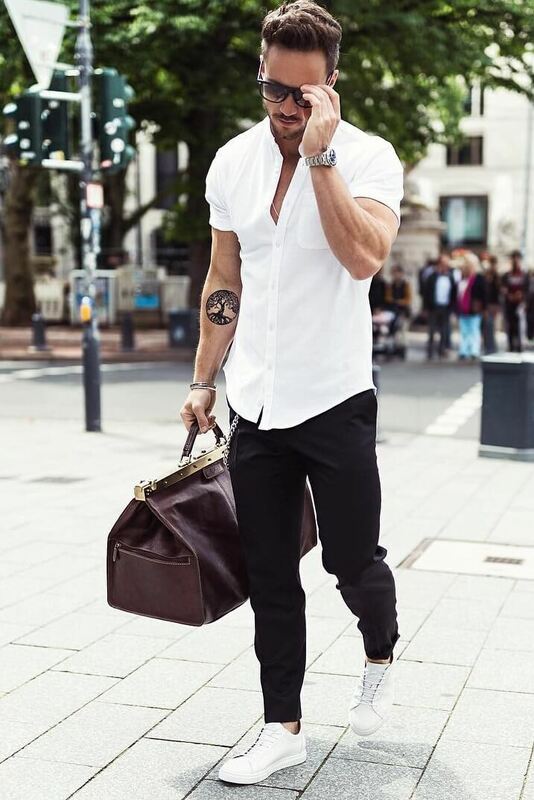 Whether you’re running some errands or going to work this is a great outfit with a simple button up, white sneakers and black pants. 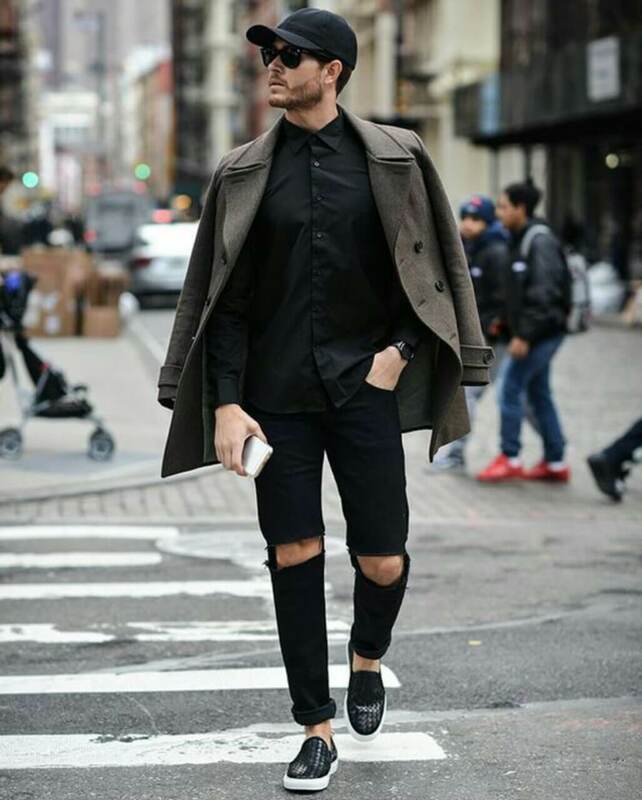 Overcoats are a must for this fall and this outfit shoes why. It can make a simple boring outfit into a great statement! 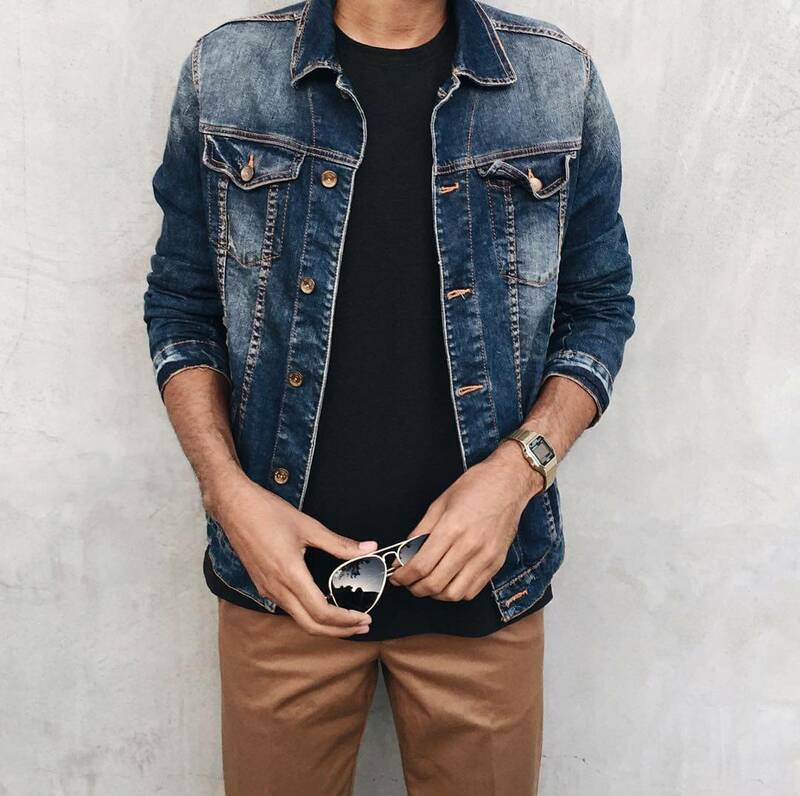 Every guy should definitely own at least one denim jacket. Let your inner badass out! 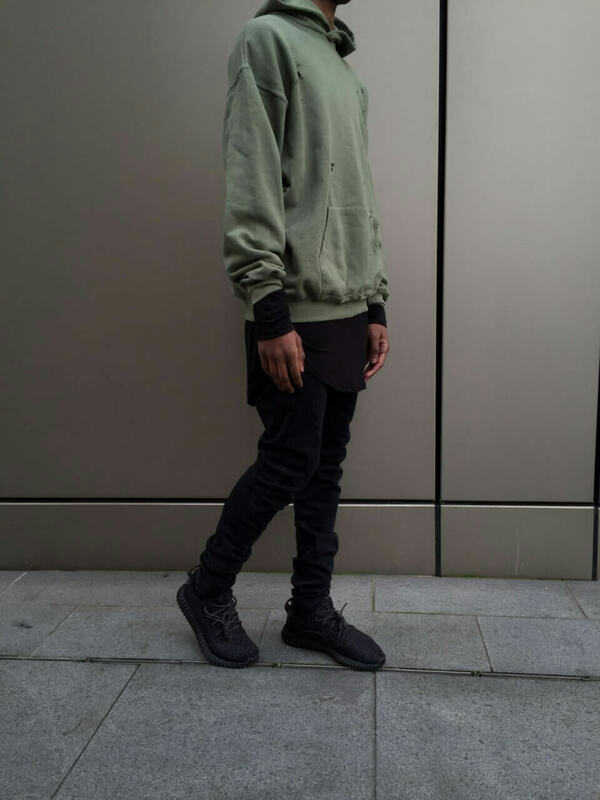 A risky outfit with the distressed hoodie and pants make this a perfect streetwear outfit for 2016. 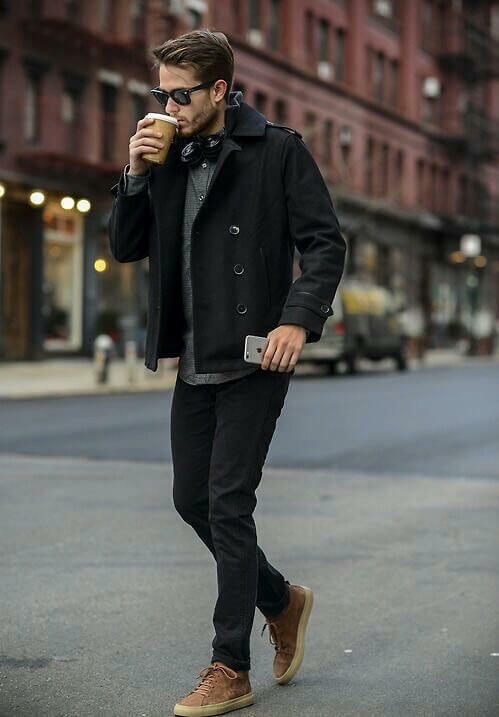 Major key alert for dudes: Chelsea boots can make a causal outfit into a classy one. 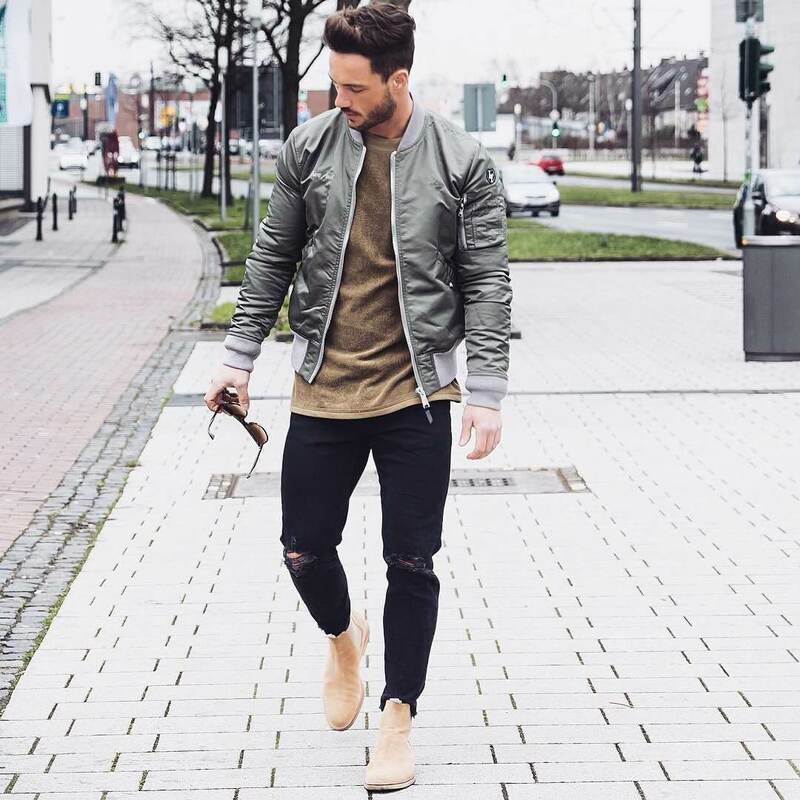 The timberlands bring this outfit together super nicely! This is exactly why I can’t stress enough about the need for a great denim jacket! 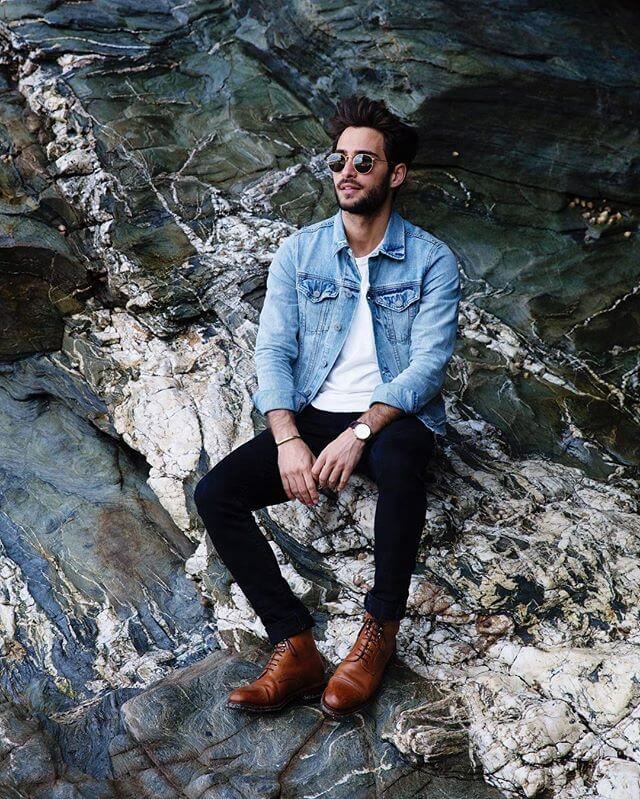 Every guy needs a pair of sturdy chelsea boots. Go for quality boys, it will last you a lifetime! 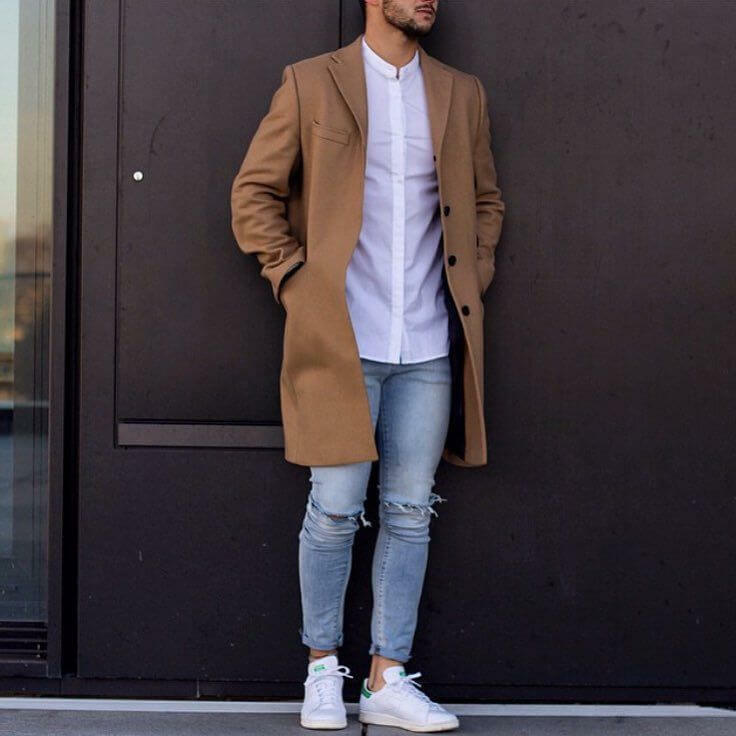 An off-white colored overcoat is rarely seen and it will make you stand out. 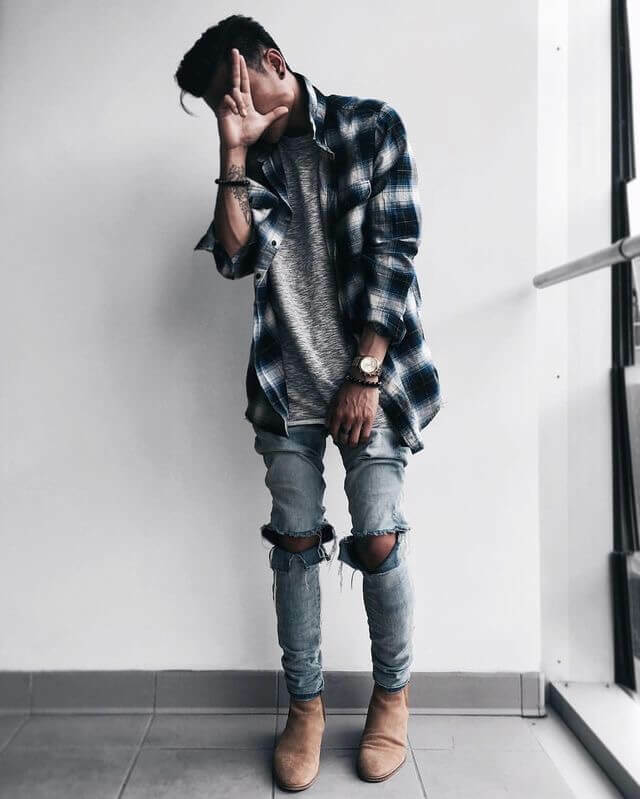 Oversized plaid shirts are a huge hit in 2016. They work great in layering. 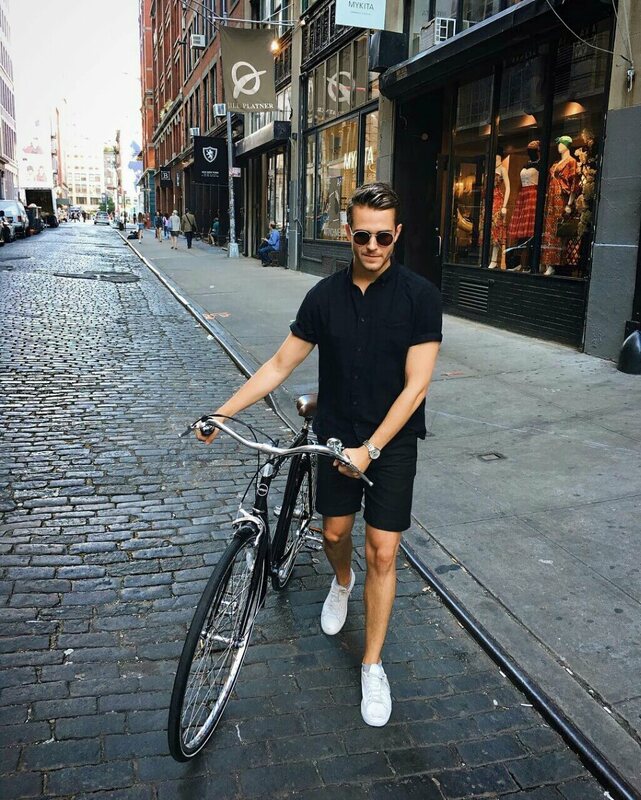 A summer outfit with matching colors shorts and a button down with some swanky white sneakers to pull it all together. The perfect college student outfit. Simple, clean and classy! A comfortable and loose fitting outfit for the summer time. A flowing white top for those super hot summer days! Guys you seriously need to start experimenting with more hats! They can look amazing. 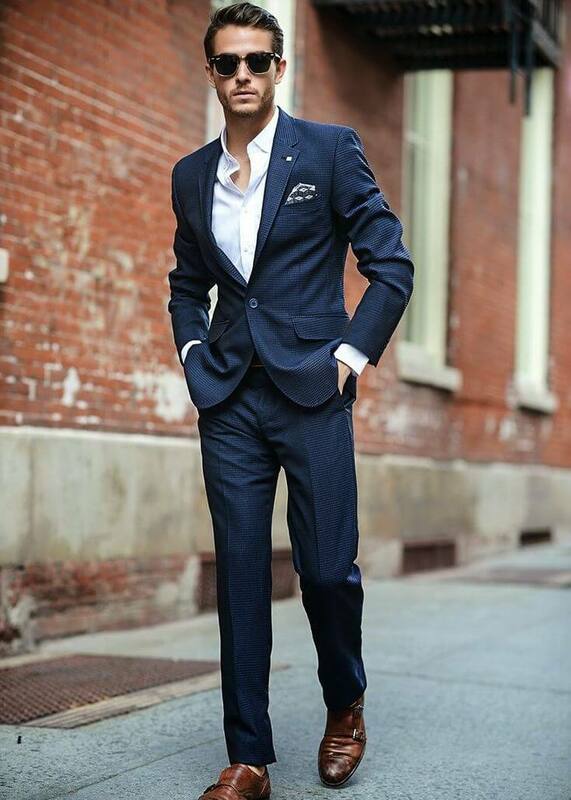 Who doesn’t love a well tailored suit? Fit is king! 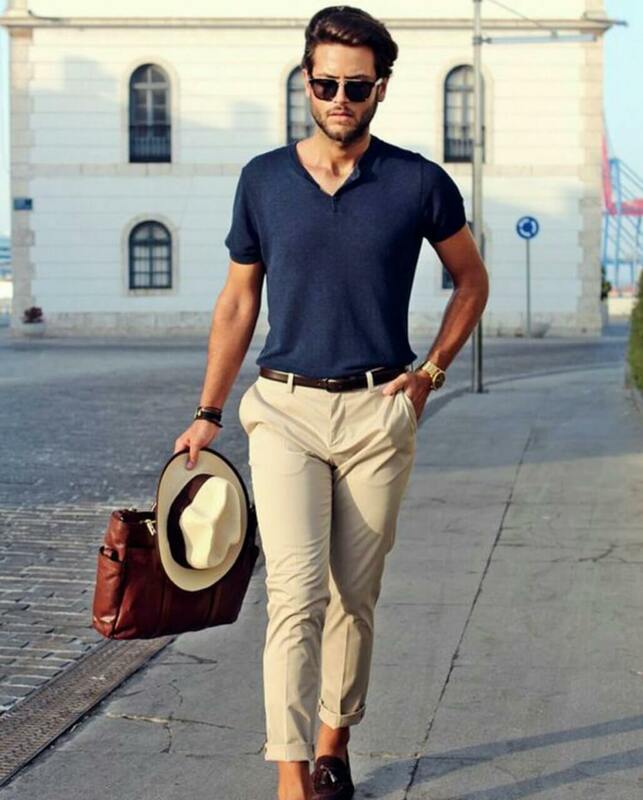 Another great looking fall outfit with a baseball cap for some mystery. A typical outfit you’d see in the south of France. A very stylish and classy outfit. Very European and stylish. If you’re in a major city in America definitely try this out! 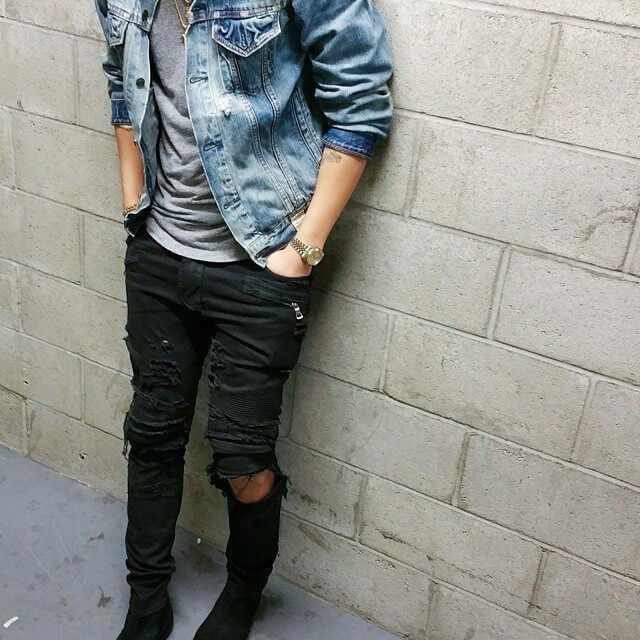 A light blue washed denim jacket and some nice brown boots. Perfection! 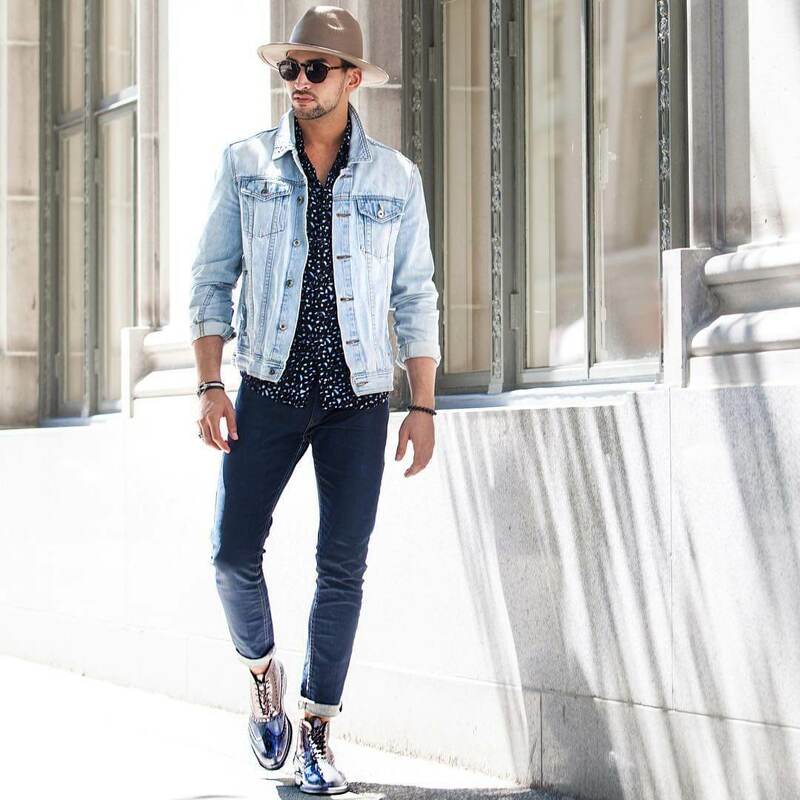 Chelsea boots make this outfit from regular to rock star chique. 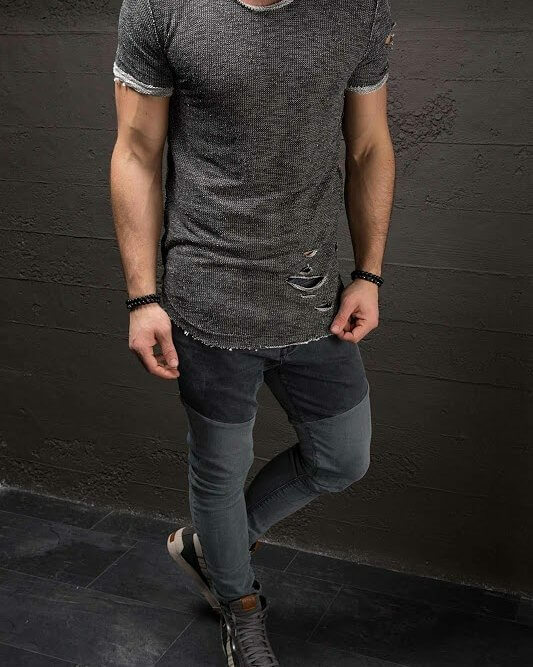 Distressed denim also looks great!